The essays in this volume reflect several important and widely-discussed issues in legal theory. One set of issues may be characterized as legal hermeneutics, a consideration of the practices governing the retrieval and determination of meaning from legal texts and in legal contexts. 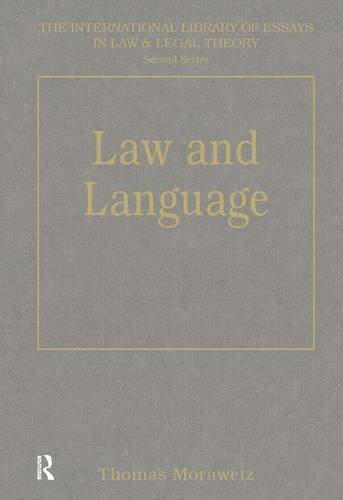 Related issues arise from the use of literature and literary criticism to enhance an understanding of law and from the study of legal rhetoric.